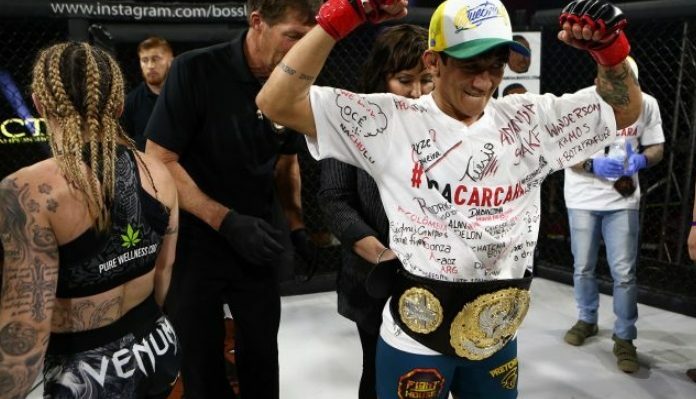 2018 was the crowning year for the undefeated Brazilian submission wizard, Virna Jandiroba as she would capture Invicta FC gold by defeating Mizuki Inoue in dominant fashion. 14-0 in her still young MMA career, the BJJ black belt has been flawless to this point in her career with 11 of her wins ending via submission. Something that isn’t too surprising coming from a woman who has two wins each over perennial top strawweight contender, Claudia Gadelha, and UFC bantamweight and featherweight champion, Amanda Nunes in BJJ competition. As a proven top 10 talent worldwide, it’s time for the Invicta strawweight champ to enter the Octagon as Combate first reported that she’ll be making her UFC debut at UFC Fort Lauderdale on April 27. Jandiroba would later confirm the news herself. In her promotional debut, she’ll be taking on the first woman to ever hold the Invicta strawweight title as well as the UFC strawweight title, Carla Esparza (13-6), as she fills in for the injured Livia Renata Souza… Who also happens to be a fellow former Invicta champion. For Esparza, she will be looking to snap the first two-fight losing streak of her career by rebounding off of a horribly lopsided loss to Tatiana Suarez in September 2018. The full UFC Fort Lauderdale line-up can be seen below.